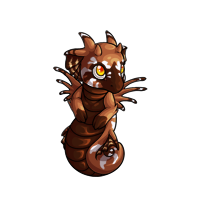 The Draqua is a shy Creatu. 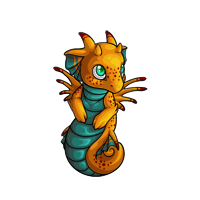 They spend most of their time hiding deep in the waters of Atquati's lakes, far from human eyes. It is only when their eggs break loose from the seaweed they are laid in and wash up on shore that humans can get their hands on them. The adults will not stay with their eggs after they are laid. Although their wings match the seaweed well, the camouflage is not perfect and it is safer for the eggs if the adult is not around. 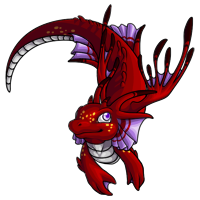 Draqua are mostly vegetarian, feeding mainly on the seaweed they hide in and other aquatic plants that grow along the lake bottom. If they are feeling particularly brave or hungry, they will swim to the surface and try to catch some of the insects that buzz above the lake. As this habit became more prominent, the wings that they had grown to help camouflage them in the seaweed developed to support their weight. 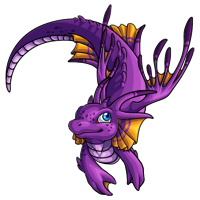 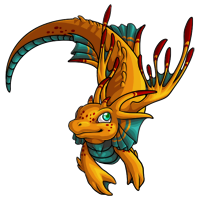 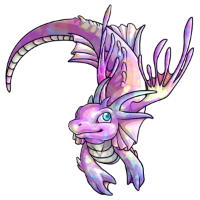 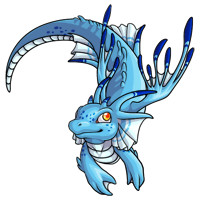 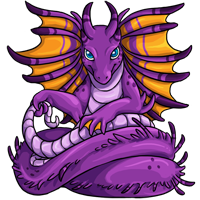 If a Draqua picks up enough speed while still in the water they can glide above it for short distances, allowing them to chase the insects rather than having to aim perfectly from underwater. 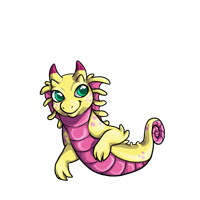 It is a glorious sight to see a small group of Draqua feeding on insects on a hot day. 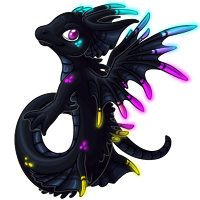 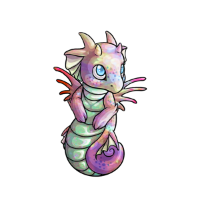 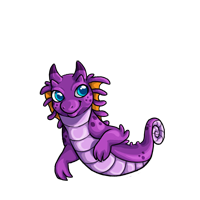 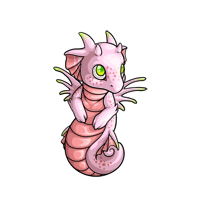 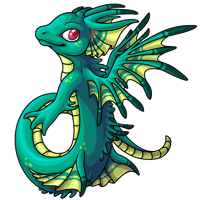 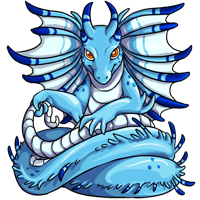 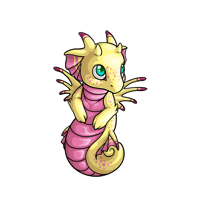 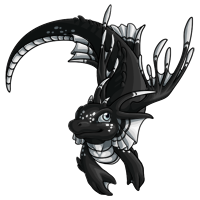 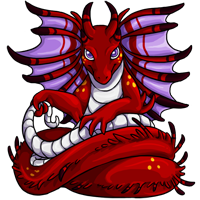 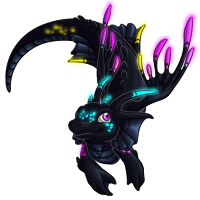 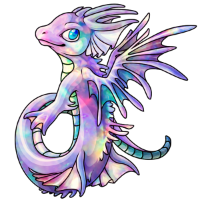 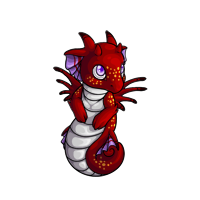 Draqua raised in captivity can be quite happy in a shallow pond as long as they can swim deep enough to have several body lengths of water above them and they have seaweed to hide in. They are much more open to humans when raised from an egg and their diet tends to vary more than in the wild. 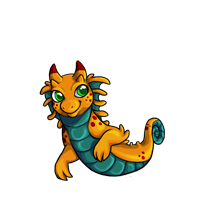 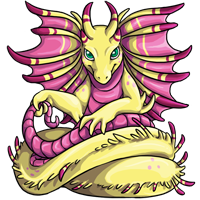 A captive Draqua will eat anything vegetarian and a few insects on a special occasion are sure to make their day. They do not become immediately attached to the first person they see but they are more likely to develop strong bonds with those that care for them than with any other human.